Another friend, Susan Cottrel, also invited me to write some thought. 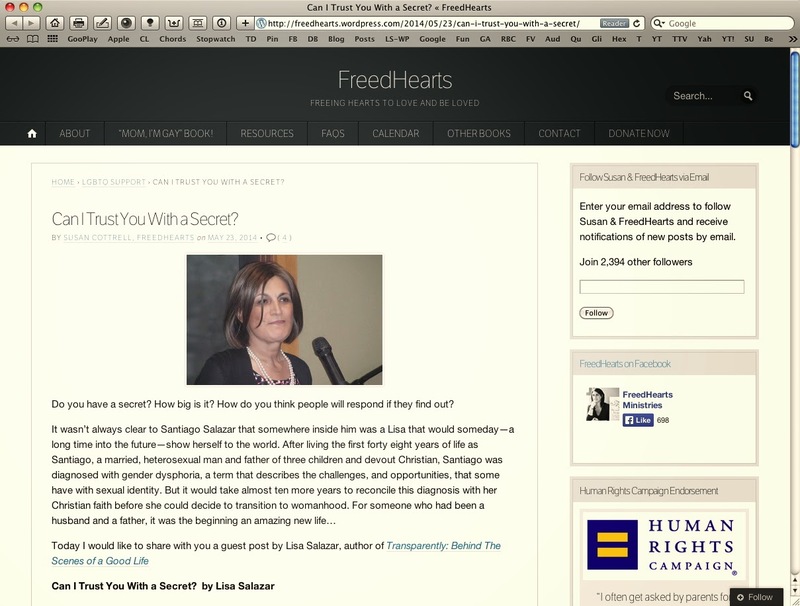 This is the link to her blog, FreedHearts: http://freedhearts.wordpress.com/2014/05/23/can-i-trust-you-with-a-secret/ I invite you to visit her blog. Do you have a secret? How big is it? How do you think people will respond if they find out? Disclosure, revelation, exposure, or whatever word you may have for it, is a visceral, frightening process to go through. Especially if the information is so sensitive, some would prefer death by flaying. But in fact, that is what disclosure is all about, peeling away the layers that hide the “body” of truth. Perhaps that is why it can be so traumatic. A friend, Matthias Roberts, recently invited me to write some thoughts on belonging. This is the way he put it: "Specifically, if you could share a story on a time where you felt that you truly belonged — even if was just for a moment." He published my response today (May 17, 2014) so I'm sharing it here too. 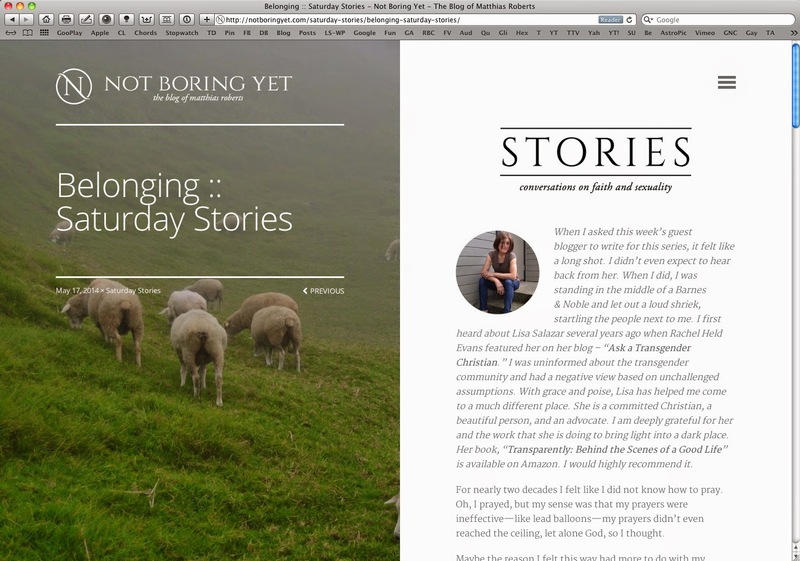 This is the link to his blog, Not Boring Yet: http://notboringyet.com/saturday-stories/belonging-saturday-stories/ I invite you to visit his blog and read some of the other stories from other contributors. For nearly two decades I felt like I did not know how to pray. Oh, I prayed, but my sense was that my prayers were ineffective—like lead balloons—my prayers didn’t even reach the ceiling, let alone God, so I thought. Maybe the reason I felt this way had more to do with my expectations and not with my prayers. I really wanted to be “normal.” I did not want to undergo social, medical and surgical transition from male to female.